The purpose of this Safety Alert is to draw attention to potential hazards arising from the use of marine ballast water systems incorporating electrolysis based treatment units (also referred to as Electrolytic chlorination). 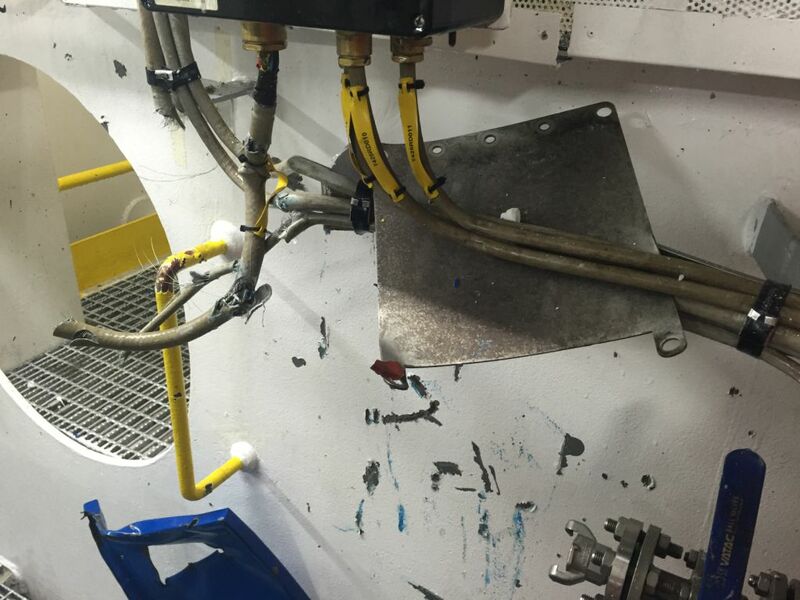 The Health and Safety Executive (HSE) is investigating an incident involving the catastrophic failure of a unit that had been in use on a semi-submersible installation operating on the United Kingdom Continental Shelf (UKCS). The information below summarises some of the potential hazards that should be considered when conducting an assessment of the risks surrounding such equipment. Seawater can contain a wide variety of marine based organisms. Electrolytic Chlorination can be used as a method for killing off the biological matter in the ballast water. 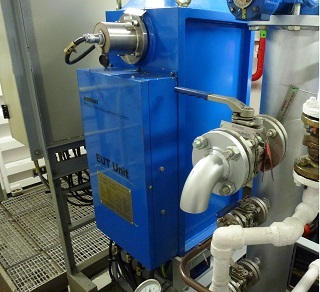 The units can be incorporated into ballast water systems on their own, or as part of a series of differing treatment technologies. Electrolytic Chlorination applies an electrical current to the ballast seawater. The process is likely to generate Chlorine, Sodium Hypochlorite, Sodium Hydroxide, Hydrogen and other chemical compounds within a chamber through which the ballast seawater passes. 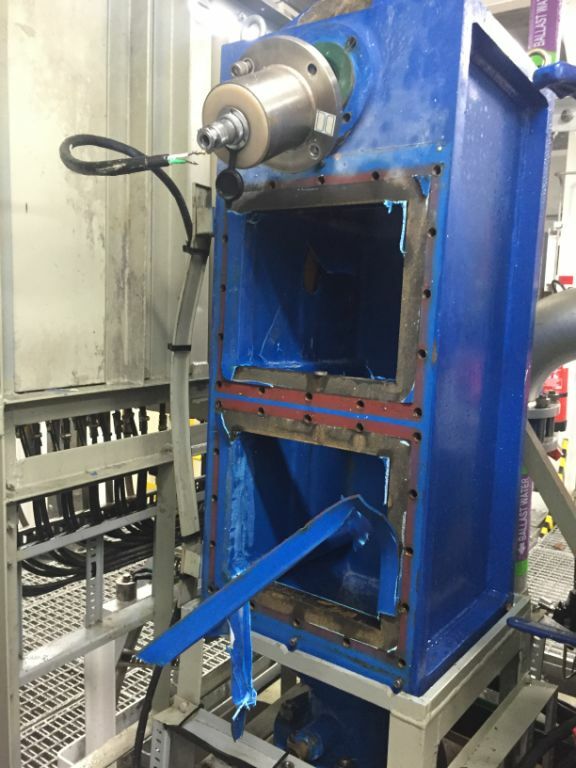 In August 2016 an electrolytic unit catastrophically failed on a semi-submersible installation operating on the UKCS (Dimensions: 1376mm x 501mm x 386mm and weighing approx. 330kg). 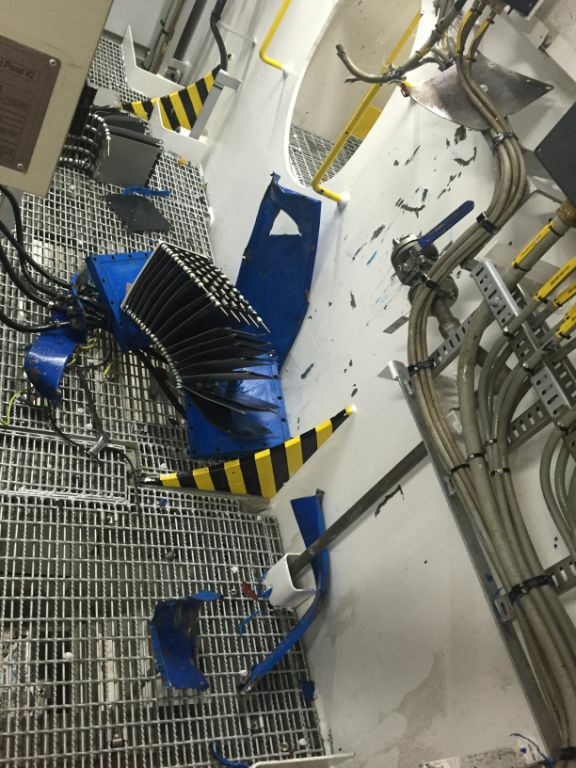 The failure resulted in the commercial loss of the unit, and produced projectile debris which had sufficient force to cause significant damage to surrounding cabling and equipment. The incident had the potential to cause significant harm to people in the immediate vicinity of the equipment at the time of failure. Owners / Operators that use these and similar units, or are planning to install them, should undertake a suitable and sufficient assessment of the risks from using the equipment, such as via a detailed Hazard and Operability Study (HAZOP). Where hazards are identified the risks to persons and equipment should be eliminated and/or controlled to prevent harm. One way of achieving this is to ensure that the supplier/manufacturer provides a functional safety certificate (in accordance with the requirements of IEC 61508 (Functional safety of electrical/electronic/programmable electronic safety-related systems) or IEC 61511 (Functional safety — Safety instrumented systems for the process industry sector), or equivalent standard. This is in order to demonstrate that any Instrumented protection system used to reduce the risk of an internal hydrogen explosion has been adequately assessed, designed, installed and maintained in order to reduce this risk to ALARP. This unit incorporates electrodes that have the potential to operate under low / no ballast water flow during maintenance/calibration activities, overriding the flow sensors. Their operation may continue if the systems are not re-set. Under such conditions electrolysis and overheating is likely to continue to such an extent that in the unit could fail catastrophically from overpressure and/or internal explosion in the absence of adequate over-pressure relief. Awareness of such a developing situation will be difficult in the absence of temperature and pressure indication. Please pass this information to a colleague or anyone who may have this product / equipment or operate this type of system / process. Industries to quote in Title block. This will allow the alert to be distributed to those who sign up for E-mail alerts.